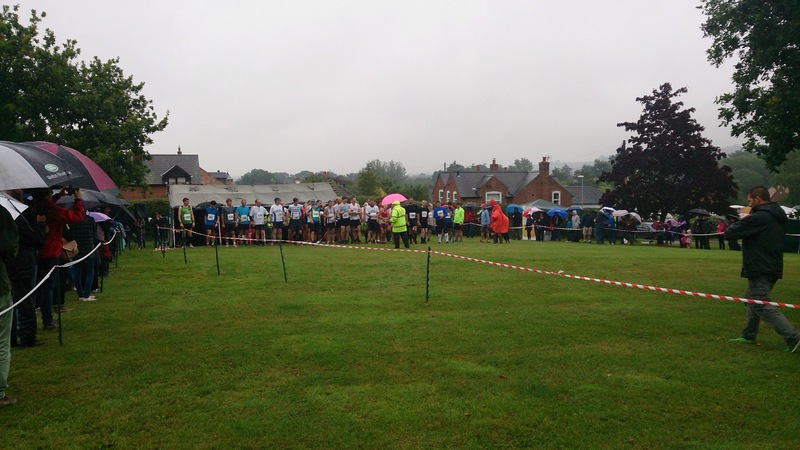 The 3rd Old Dalby Hill race held again naturally on Old Dalby day in very wet conditions, she would definitely be taking a stud today. 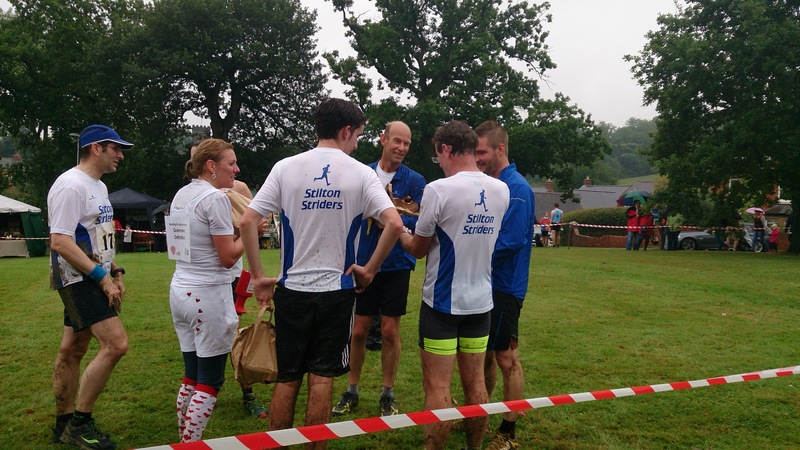 A small but high level field of rainproof runners, quite a few shirts from both Ivanhoe and Barrow Runners but a massive contingent of Stilton Striders! Reigning two-time champion Tim Hartley of Barrow out injured wouldn’t be able to defend his crown thus we placed our hopes on a Stilton victory after such a good week. Race starts at 11:10 with Luke Eggleston doing his stung cat routine (! 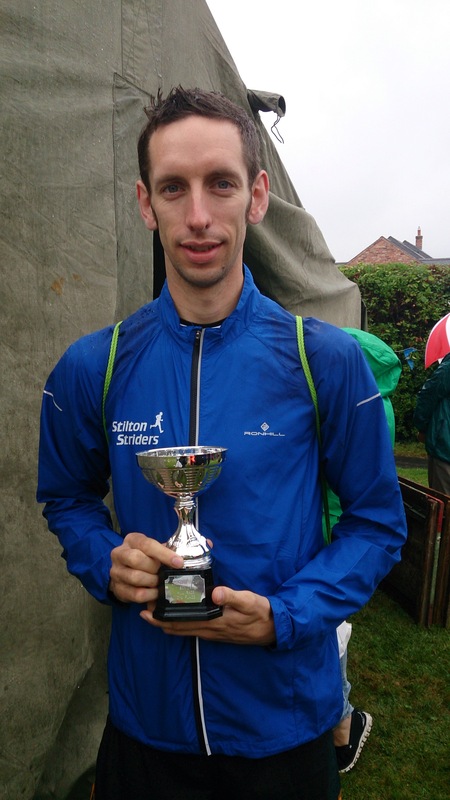 ), getting the excuses in early (3rd event of the weekend, don’t like short races, wearing meagre shorts I should’ve saved for my wedding night) I more or less think that being near Fell legend Greg Pettingill is a good pacing move (who similarly did the fell race yesterday). The fast initial dash upon tarmac for the first half mile is quickly replaced to a groan as we go off road into `moon boots` the second ploughed up field we come to. 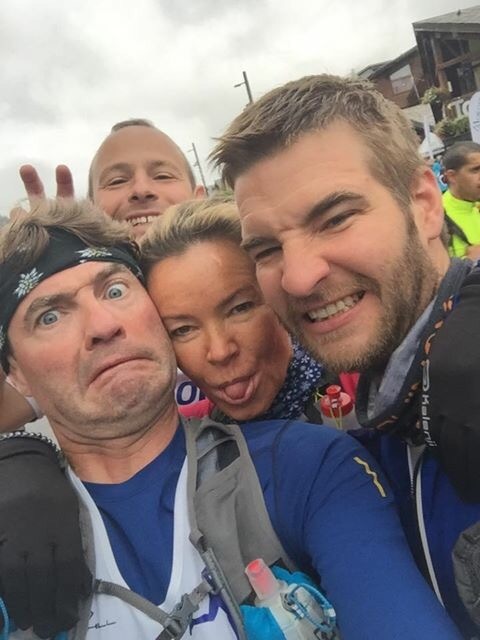 Throughout the race there are five of us interchanging positions pretty much continuously myself (Rob Beers), Greg, Matt Atterbury, Mike Bryan and Michael Atton depending on our strengths it’s a really good fight. For me I lost it a bit coming down the steepest part in Old Dalby Woods, similarly like myself Greg mentions he isn’t the best at stiles either. I come in as 7th Strider just behind Greg and Michael which shows the quality of runners we had out today and how much strength in depth we are starting to show as a club now. 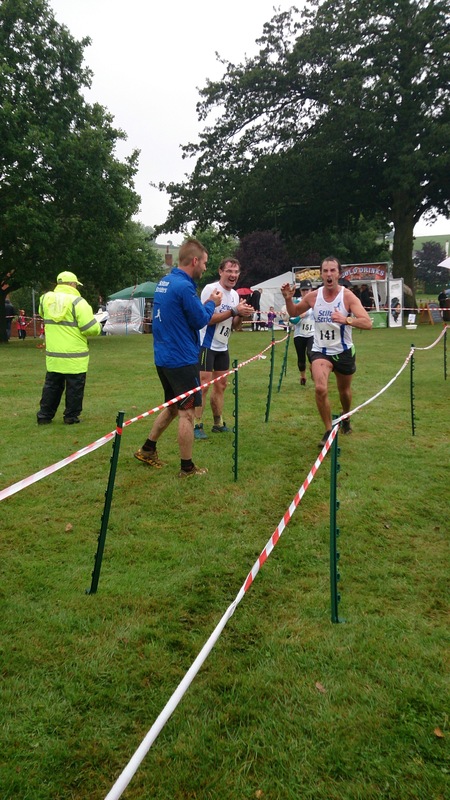 Jay Barton came 2nd overall, excellent considering it’s not his terrain at all and he raced yesterday (Coming first! ), Katie Hateley 1st lady and 1st local lady, Mike Bryan 1st local male runner and some great individual running from quite a few. 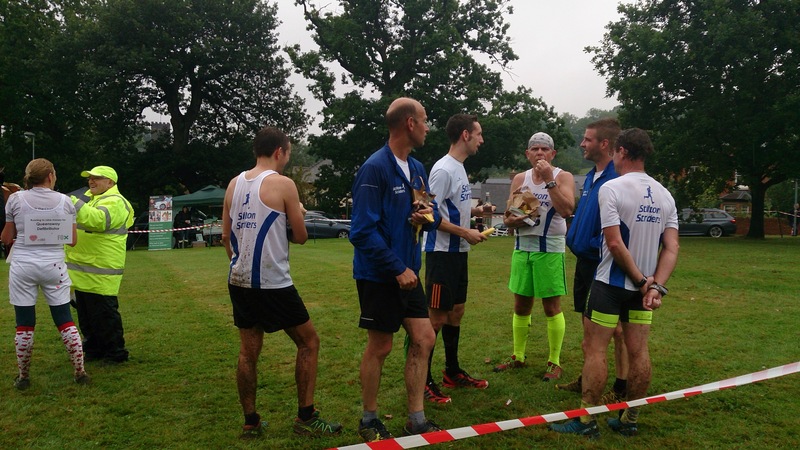 Having got out of doing the extremely hilly League race at Hermitage by being in another country, I allowed myself to be talked in to entering the 2nd Badgers Atherstone 10k Road Race by Mr Jason Barton. 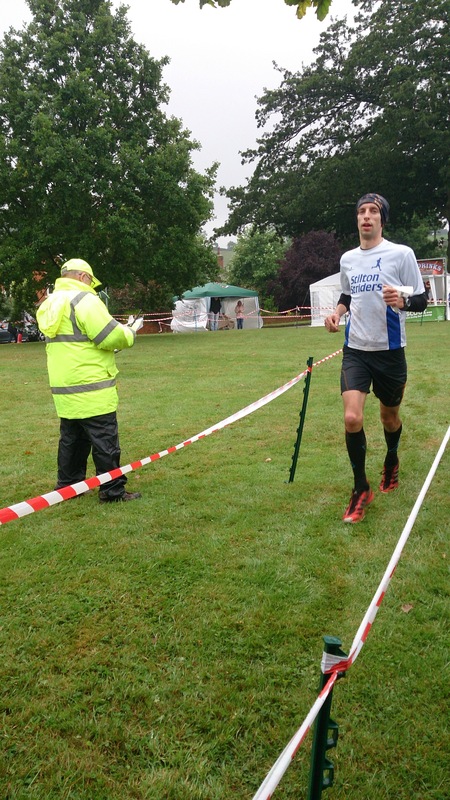 As this was my first race over 5k for quite some time, I started scrawling through my old race times to come up with what I think I should achieve over a nice quick 10k course. HOWEVER, the bullet that I dodged at Hermitage came back with a vengeance at Atherstone! 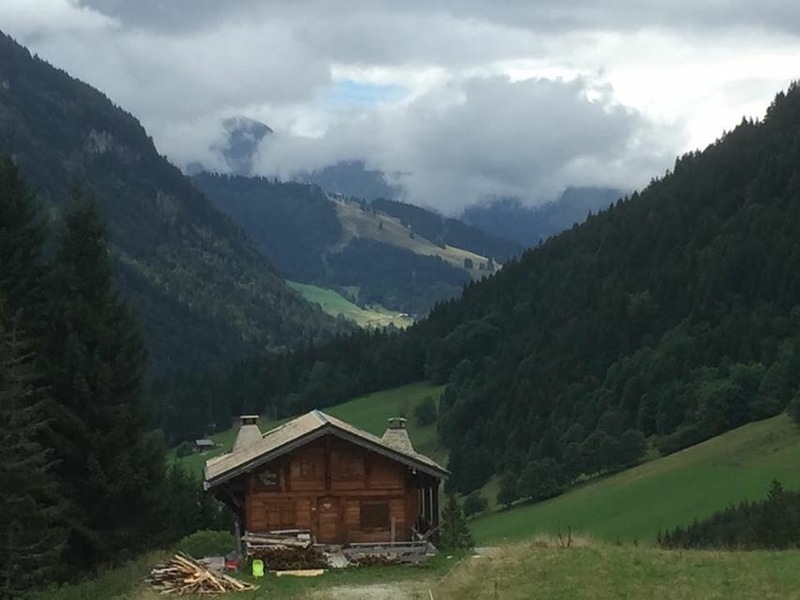 The course has a lovely downhill/flat finish that takes up the last 2 miles, although the first 4 contains 20 metres MORE ascent than the ENTIRE course at Hermitage!!! Any dreams of quick times went out of the window, and were replaced with hopes of respectable times, followed by prayers of finishing!!! 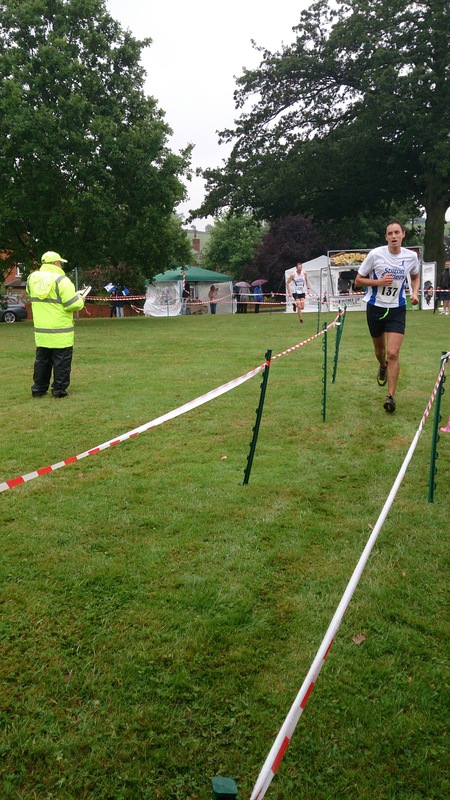 Throughout the race, Jay was battling with Che Compton of Kent AC for the lead, with Jay gaining an advantage on the inclines and then immediately losing it on the descents. The long straight and flat finish through Atherstone town centre allowed for a true head-to-head battle. With half a mile to go, Jay was slightly ahead and managed to hold off his adversary to finish 10 seconds clear, and win the race. Humble as ever, Jay stood around the finish area cheering people in and chatting with fellow runners, asking how they got on, but at no point disclosing that he had won the race in a course record time of 35.51. Way back in the field of 367 runners, I too was having my own battles and winning them to eventually finish 42nd overall in a relatively satisfactory time of 44.29. The church by the finish line were doing cups of tea/coffee for 50p and FREE CAKE!! Whilst inside, I happened to let slip to one elderly lady manning the tea stall that my accomplice was the overall race winner and we were then subjected to a 15 minute wave of praise as Jay was given a full hero’s welcome! He was asked about the course, asked about the club (which we advertised whole-heartedly), and was even asked for kisses by one of the old ladies present while introducing him to her daughter who had also ran. During the presentation there was mass exasperation when Jay’s time was read out as 31.19 with everyone expecting some Kenyan to step forward to claim the £50 cash, £15 gift vouchers, and trophy (for some reason his time had BOTH been written down wrong AND then read out wrongly too). 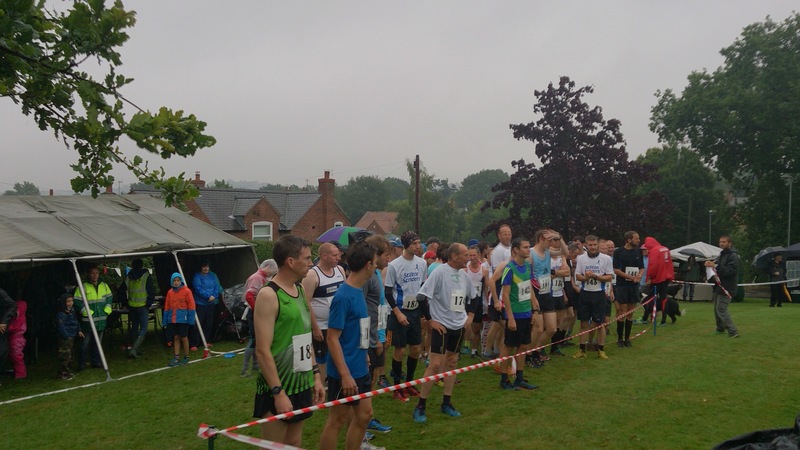 Bradbourne, notable for being valued at 30 shillings (£1.50) in the Domesday Book and not losing any inhabitants in the Great War, showed another remarkable feature today – accepting entries on the start line seconds before starters orders. 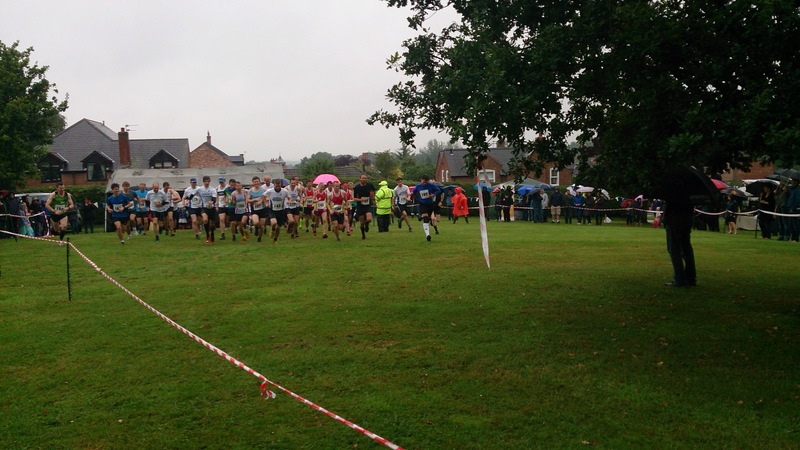 Result – the race started 15 minutes late! A spot of “gardening”, on the warm up, to remove some ankle breaking rocks (fallen dry stone wall) and branches from a narrow muddy path received no thanks, although Rob did manage to stay upright this weekend. 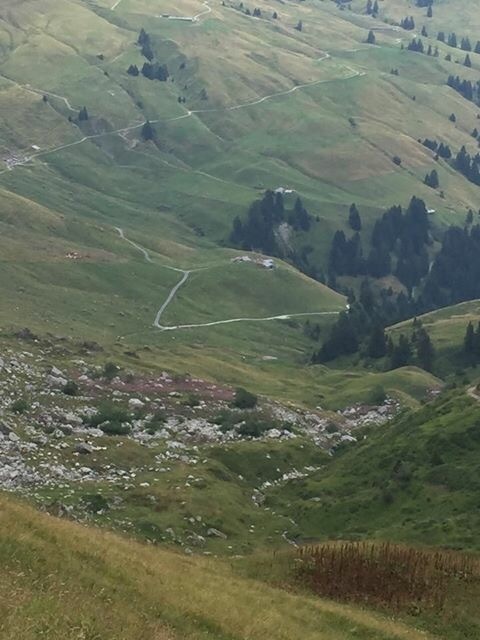 With the start at the foot of the first hill there is no warm-up, just a 100m climb onto the high gently undulating pasture typical of the White Peak – “all runnable” followed by a fast descent through a picturesque dale for the chance to repeat it on lap 2!! 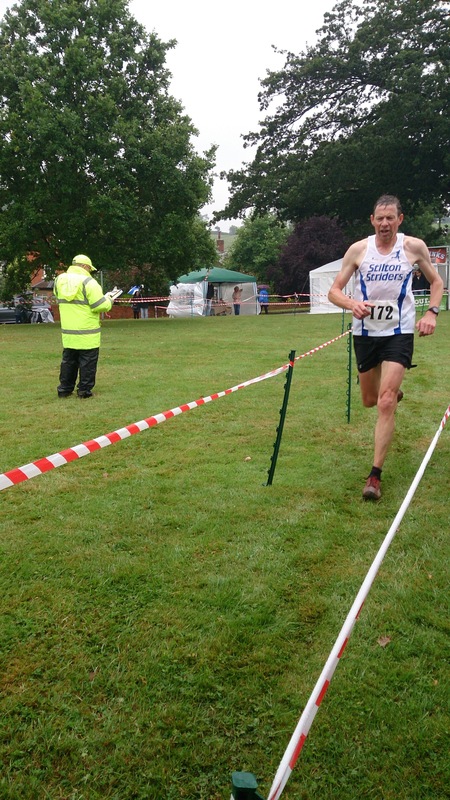 First Strider home was Greg Pettingill 16th (3rd MV50) 37:05, followed by Rob Beers 24th (3rd MV40) 40:09. 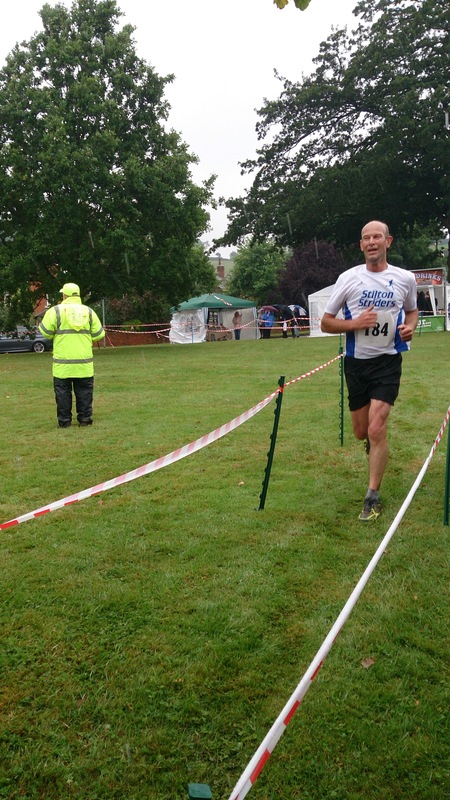 Stuart Gregory was the only Strider to take part in the Tim Wealthall Miles event in Nottingham. Stuart was competing in the first supporting race of the night in the 6 to 10 minute category. 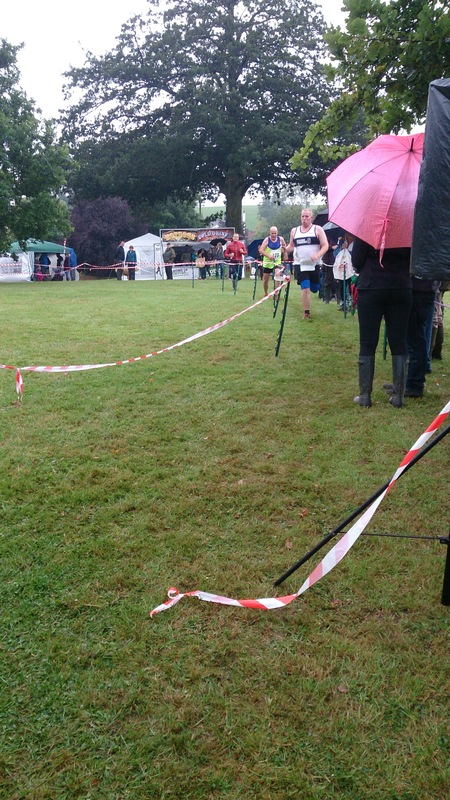 Having just recovered from a minor chest issue, Stuart lined up at the starting hoping for a top three finish. Not formally a race so doesn’t really count; this initiative was seen as a celebration of 30 years of our neighbour club Barrow Runners. 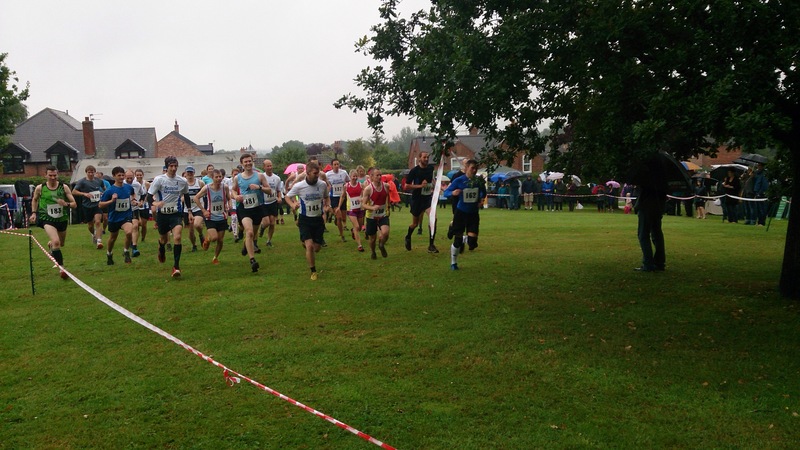 The idea was to use the grounds of Prestwold hall and test run a 12 hour event, totally free to enter (with proceeds to charity) not serious in the slightest with people running either all day or a lap (5 miles) when they chose at anytime during the day. 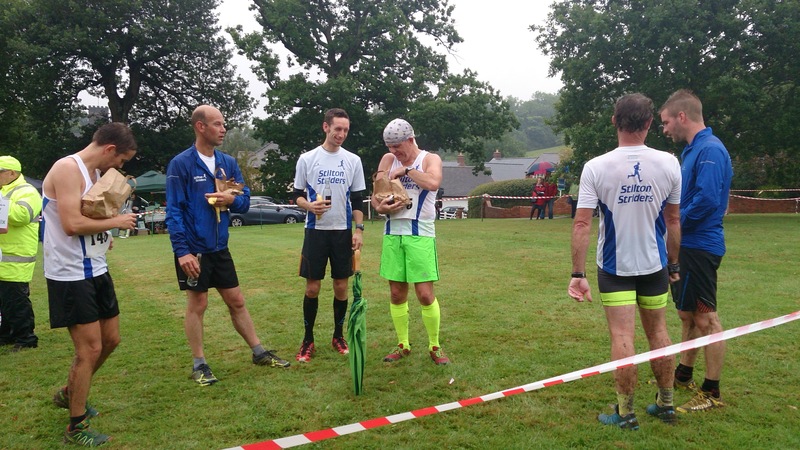 The event started at 8am with the Husband/wife team of Clive and Jenny Kent (known as “Time for Tea”), Rob Beers’ multi- Club team (“Five in a Bed”) and the Melton Running Club collective (“Just scoff more cakes”) of future Striders representing “Meltonium” . Rather wet and dewey underfoot initially but the offroad course around the grounds is very scenic and well thought out, dare I say a fair bit of undulation and some very steep climbs up bankings. From watching the Porsche racing on the driving circuit to almost navigating the equine course to the wooded bit near the Church which comes out nr the Hall a pleasurable course indeed. I’ve no idea how well everyone did; I left having done five laps as had a fell race the next day and ever improving Jenny Kent was on her fourth! No idea how many she got in the end but ultra Clive managed seven! The MRC contingent all managed at least 3 laps each also that’s 15 miles, offroad! Katie has generously offered to provide club members with a first aid training session covering issues most likely to arise in a running environment – CPR, faints, hypo/hyperthermia, etc. This will take place after the club run on Weds 23rd Sep – 8.30pm at KE7. In order to make it a useful session to attendees, whilst there is no charge to our members, we do need to restrict numbers so to reserve your place please let us know asap, and before Weds 9th September. After that date, if spaces remain, we will announce how non-members (for a suitable donation) can also join us. 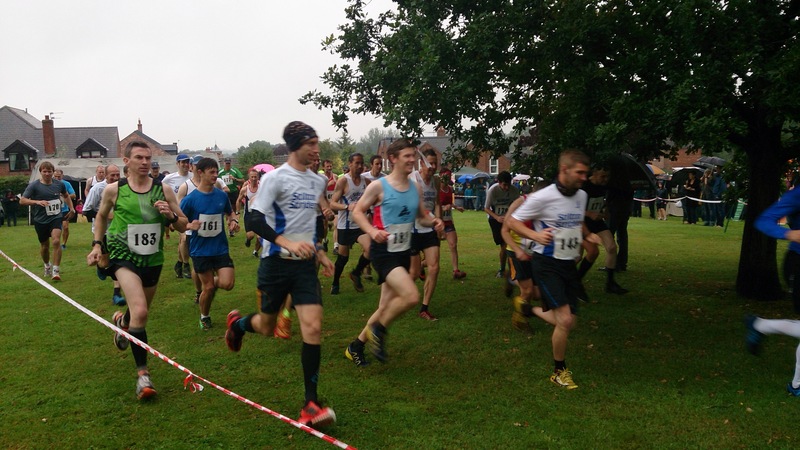 This incredible race now in its seventh year is growing in popularity, with 150 entrants taking on the 26 mile route and nearly 500 tackling the 13 mile route. 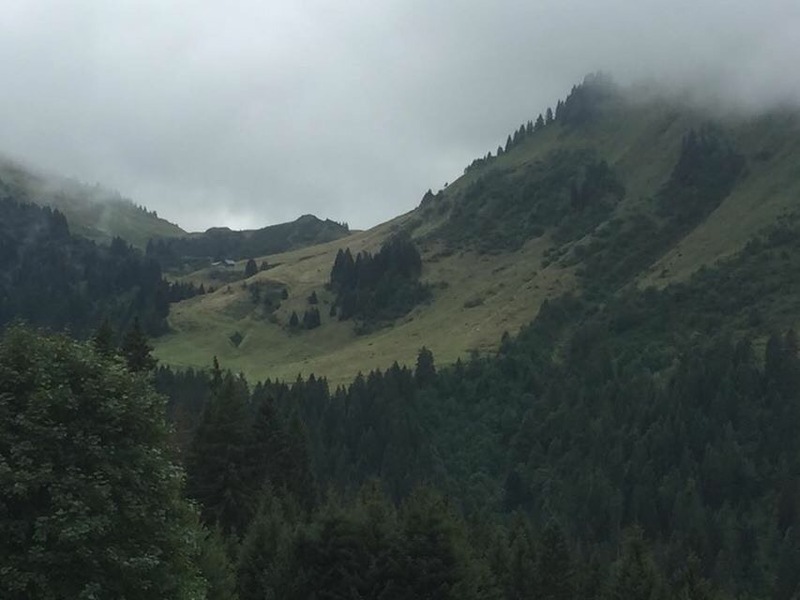 And so it was that four intrepid Striders stood at the start line at the centre of the very popular and beautiful ski resort of Morzine poised ready to tackle the infamous off road course. Conditions on the day were bleak to say the least, heavy rain and low temperatures, reminiscent of the Snowdonia marathon only a few weeks before. 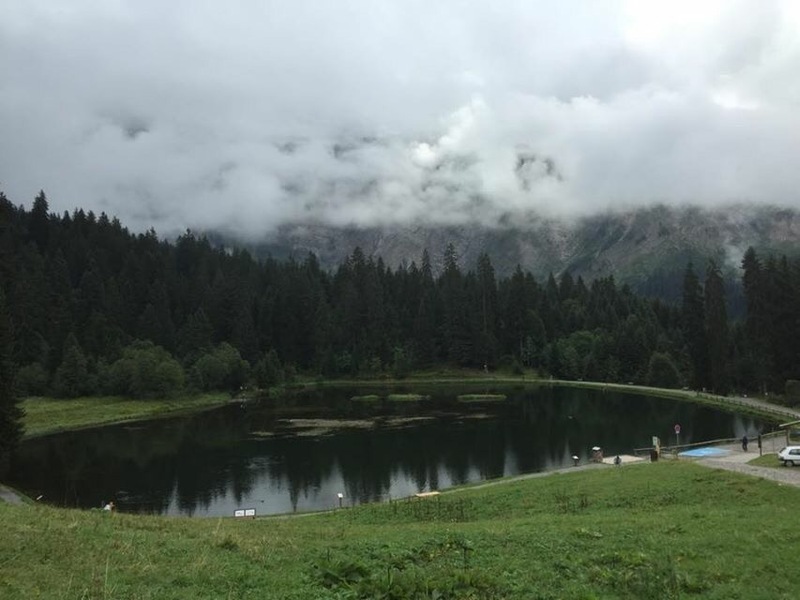 Because of inclement weather some last minute course changes had to be made adding an extra 400 metres of elevation and 2 miles in distance, in total 15 miles and 2200 meters of climb, this is an epic! As we set off all seemed fine and soon settled into a comfortable easy pace, nice and steady, knowing what was ahead. 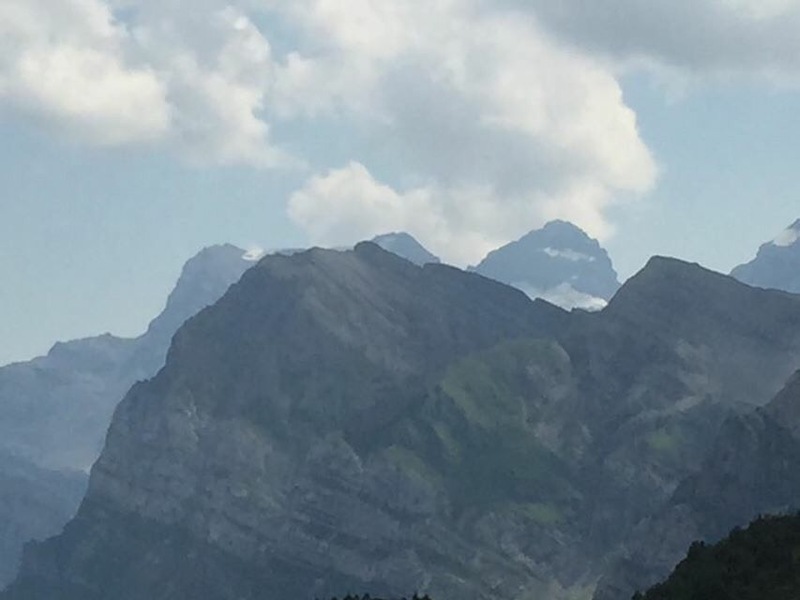 Despite climbing and sleeping at altitude on a nearby Italian mountain (Gran Paradiso) a few days earlier we all felt the effects of heavy exertion at altitude 2400 metres on the highest point of the course. 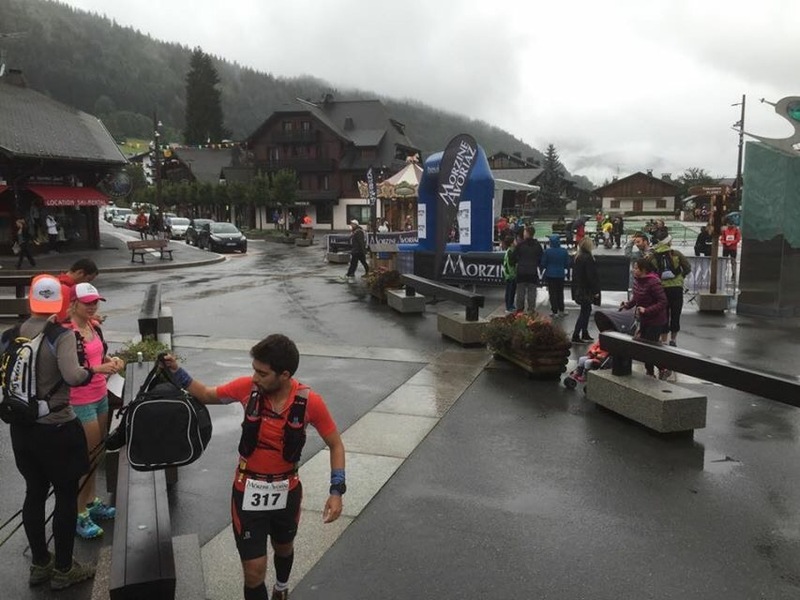 Understandably this race is used as a qualify for the ‘Ultra Trail du Mont Blanc’. 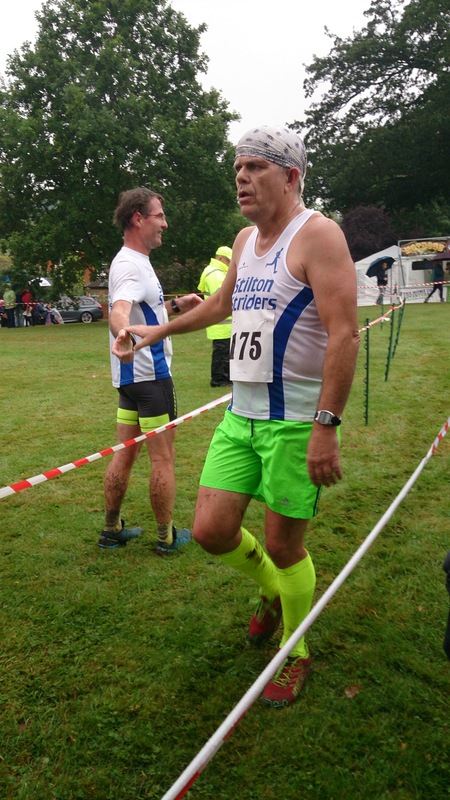 First Strider home in an incredible debut performance Mike Bryan 3 hours 27 (138th) followed by Daniko Milko Fastidio in an excellent 3 hours 42 (189th) not far behind a bedraggled John Houghton in 3 hours 46 (208th) then wife Louise Houghton 3 hours 58 (257) despite 2 extra miles and 400 metres being added recorded a course PB! This year’s event was hosted by the Striders, with a course specially designed and hosted by the Houghton clan at The Grange garden centre. After traffic problems caused a delayed start, the 95 runners set off into the last rays of summer evening sunshine on a warm, if a little wet underfoot, evening. 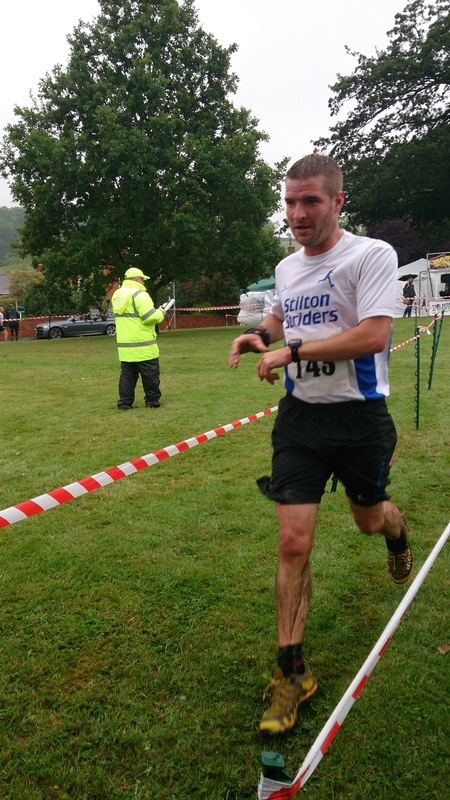 Jason Barton set the early pace, leading the field of 40 Stilton Striders, 30 Wreake Runners and 25 Barrow Runners across the early muddy sections and into the wheat fields. Whilst broadly flat along the River Wreake, the course made its way up three hills – christened “Barrow Bump”, “Wreake Rise” and “Strider Mountain” for the evening – as it headed out to Kirby Bellars and then back towards The Grange. 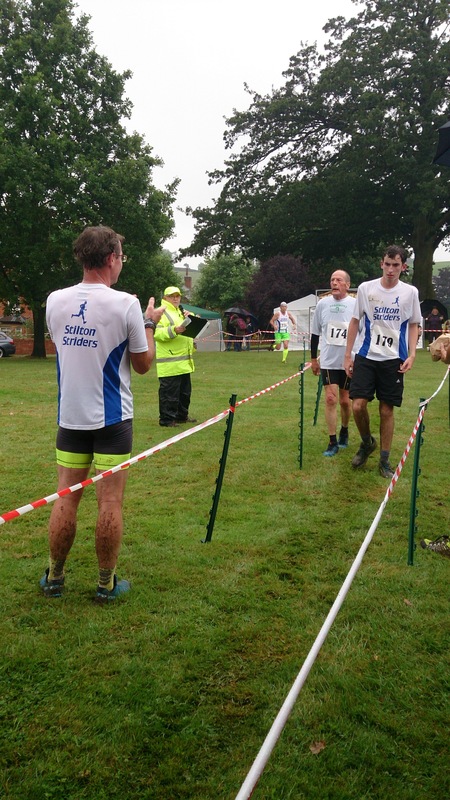 With Tim Hartley from Barrow coming through to finish the 4.6 mile course quickest, the team challenge was to see which club would get their first 25 runners back with the lowest cumulative position. Final positions were calculated over a fantastic Tartiflette (and a drink or two), and for the first time since 2009, Stilton came out on top by a slim 8 places overall. 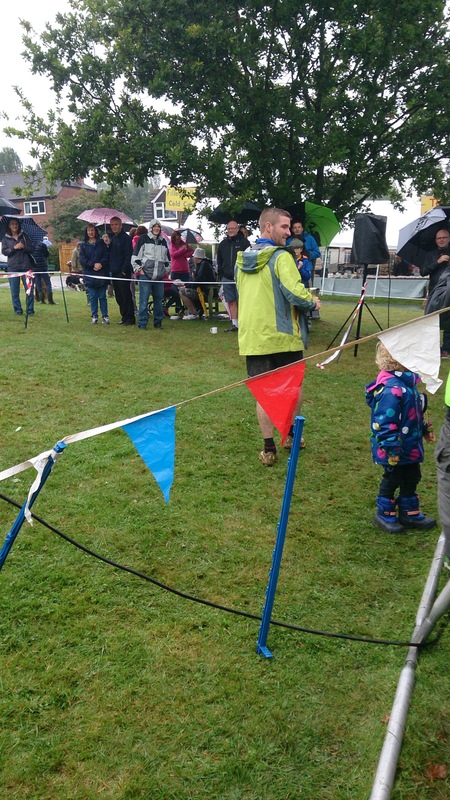 A huge thank you must go to John, Louise and all at The Grange who did us proud, all our enthusiastic marshals and everyone else who contributed – designing, clearing and marking the course, volunteering on the night and, of course, all the runners. It was a great night, with a really positive atmosphere – roll on 2016! A selection of photos are here.